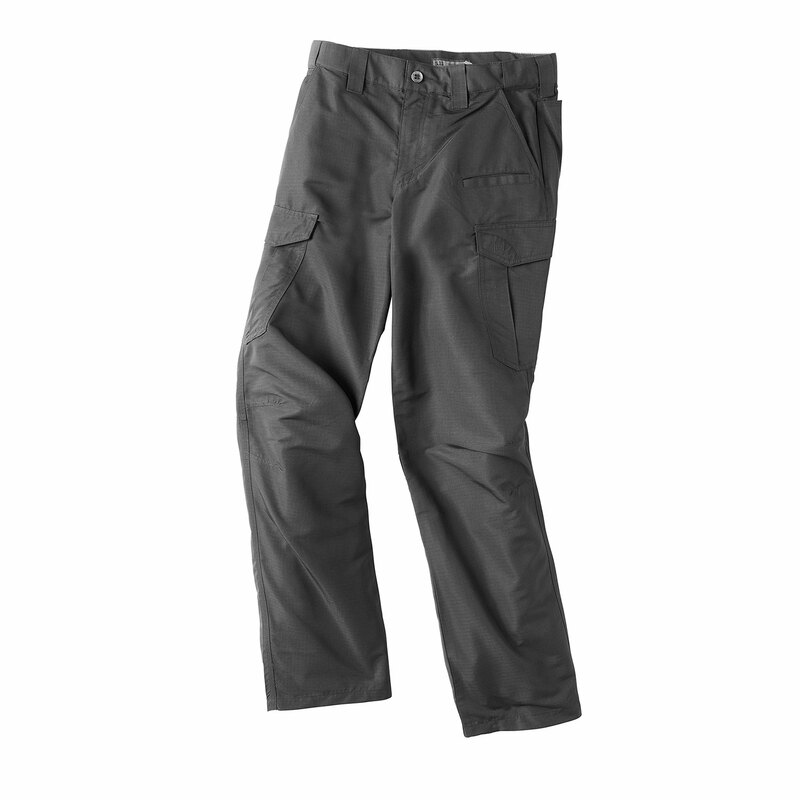 5.11’s Fast-Tac Cargo Pants are built for optimal utility, comfort and durability. Gusseted seams and double and triple stitching are just the beginning. The 4.7oz fast tac 100% polyester ripstop fabric is water and abrasion resistant yet easy to wear. A comfort waistband with 7 belt loops is also CCW friendly. Nine pockets, including dula magazine and cargo pockets with nylon 6 lining, plus a device ready welt pocket provide excellent cover for all your essentials. Best of all, the fast tac urban cargo pant looks great from dawn patrol to night duty.